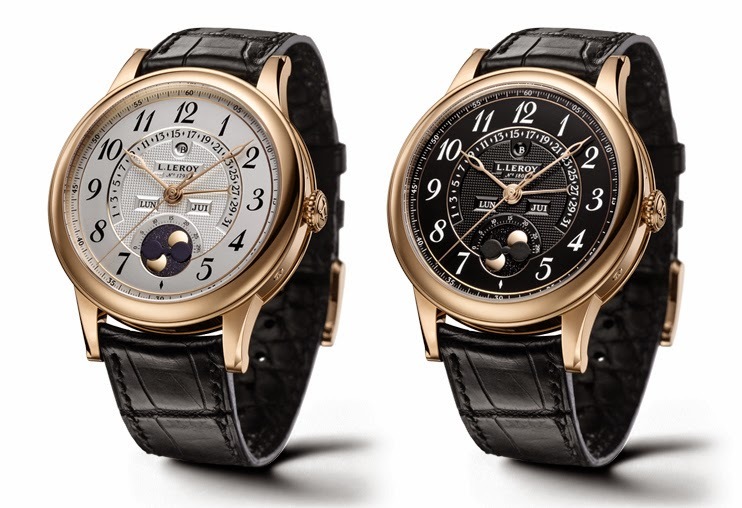 The Osmior Retrograde Perpetual Calendar, created by the Le Sentier-based manufacture L. Leroy, features a pretty rare central retrograde perpetual calendar complication combined to an accurate moon phase display. The dial, featuring an engine-turned decoration made by hand piece by piece, is characterised by a central retrograde hand indicating the date and two windows displaying day and month. The small circular aperture at 12 o'clock indicates the leap year. At 6 o'clock, the polished gold faces of the Earth's satellite are set on a plate of Goldfluss, a type of glittering glass, produced with copper in a low-oxygen reducing atmosphere using an ancient process discovered in Venice in the twelfth century. 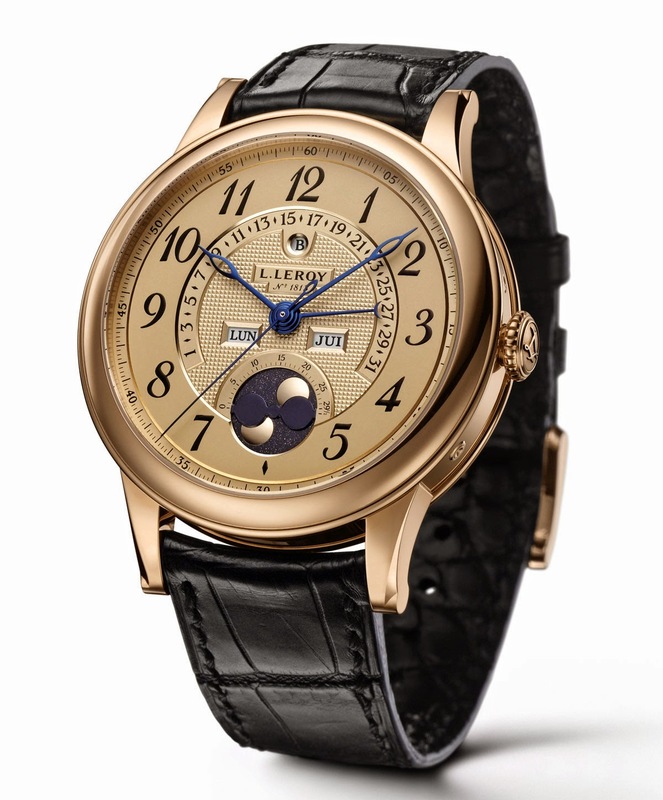 The beautiful dial is framed by a classic round case with a diameter of 41 mm and a total thickness of 11.50 mm. The L. Leroy Osmior Retrograde Perpetual Calendar is available in white gold with silver dial and blued steel hands or in pink gold. The pink gold case offers three dial options: silver or black with gold plated hands and champagne with blued steel hands. 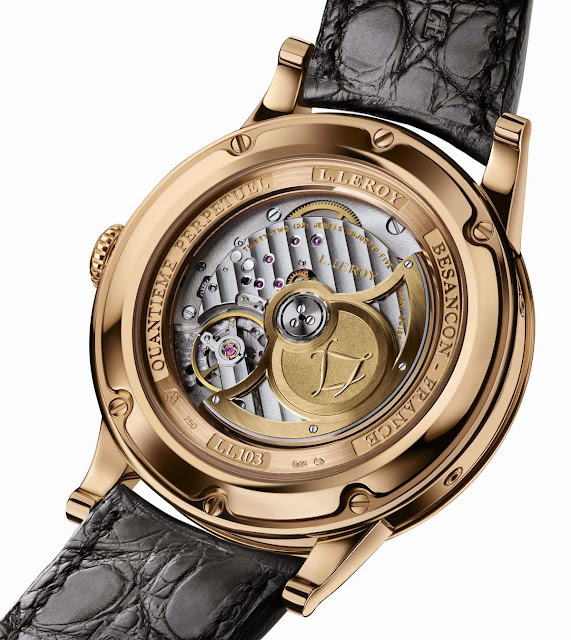 The sapphire crystal back case displays the automatic Calibre L411.2 with central rotor in 22 carat yellow gold. The movement, beating at 28,800 vibrations per hour, offers a power reserve of 48 hours thanks to its double barrel and it is enhanced by a Côtes de Genève decoration. The strap in hand-stitched alligator is secured by a traditional tongue buckle or, optionally by a double folder deployment buckle in matching gold. 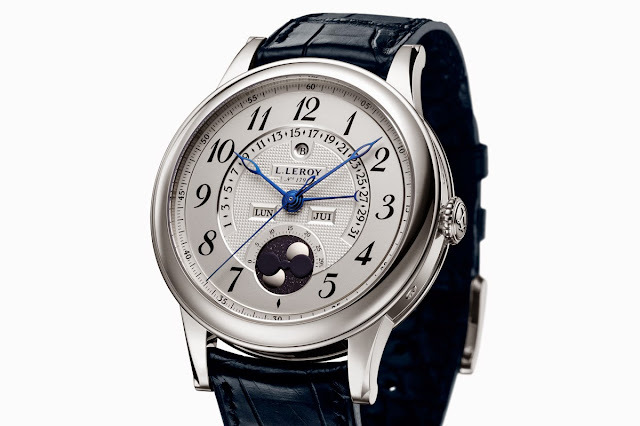 L. Leroy Osmior Retrograde Perpetual Calendar . The Osmior Retrograde Perpetual Calendar created by the Le Sentier-based manufacture L. Leroy features a pretty rare central retrograde perpetual calendar complication combined to an accurate moon phase display. 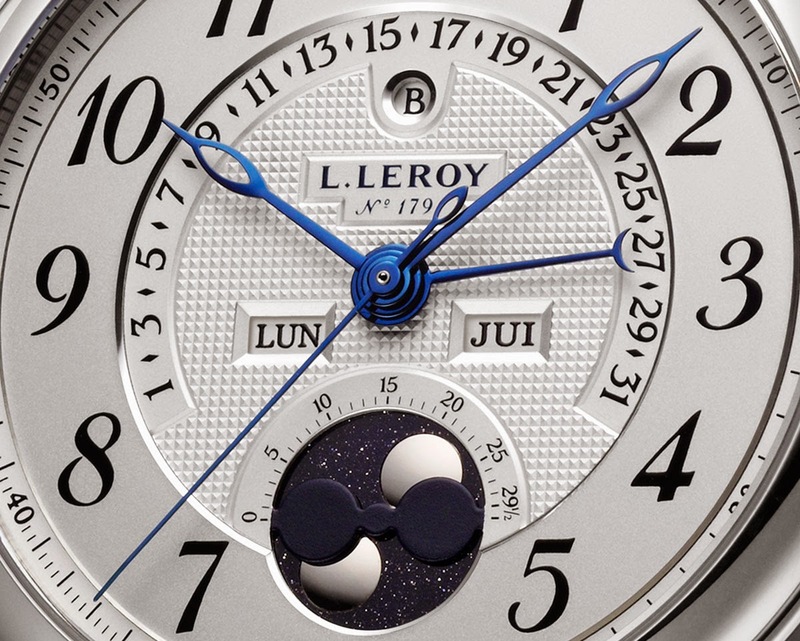 All L. Leroy Osmior Retrograde Perpetual Calendar timepieces are individually numbered. Retail prices starting at around Euro 50,000.